It's Freebie Friday again. I can't believe it's already Friday once again. Where does the time go. I'm participating in a blog hop next week and we are required to use Rafflecopter for our giveaways. I've seen Rafflecopter on other sites and have wanted to add it to mine for quite some time but that requires time and patience to learn a new technology feature. It seems like I'm always behind the eight ball and never have enough time to do it. It's actually pretty bittersweet that this is happening. It's forcing me to go outside my box, once again. Sooo.... in order to use Rafflecopter, I need to have a giveaway. 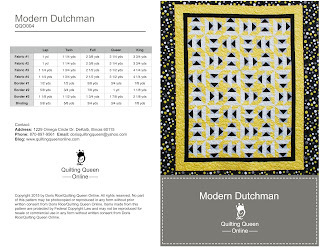 How about I give away one of my new patterns Modern Dutchman. Just leave me a comment and tell me what you think of this whole Rafflecopter thing. Do you like it, is it a pain... what do you think? You'll have until Monday 8/31/15 to enter. It's open to anyone in the USA 18 years of age or older. I don't have a blog so I am another one that has only used Rafflecopter to enter contests. It is easy to use so I like that. My only complaint is when you have to enter a blog comment and then go back and say you did on theRrafflecopter I sometimes forget to go back. So then I don't get the entry. I prefer the way you did the first entry where you answer in the box and you're good. I have no problem entering giveaways with Rafflecopter, but since I haven't figured out how to even add a button to my blog, I don't think Rafflecopter will be showing up there any time soon!!! Thank you for the opportunity to win your cool pattern!! I think the Rafflecopter is kind of fun--hope it works out okay for you! Like using Rafflecopter. Thanks for the giveaway! Yeah, I like Rafflecopter! The feature that it shows how many days/hours left for the contest and the points earned are helpful on this end. Good for you for trying something new! I only know the entering end, and it is easy to use. I really like Rafflecopter, I don't have to remember anything. This pattern looks like fun. Easy to use on my end! Love the pattern and I'd love to try it as a scrappy version! 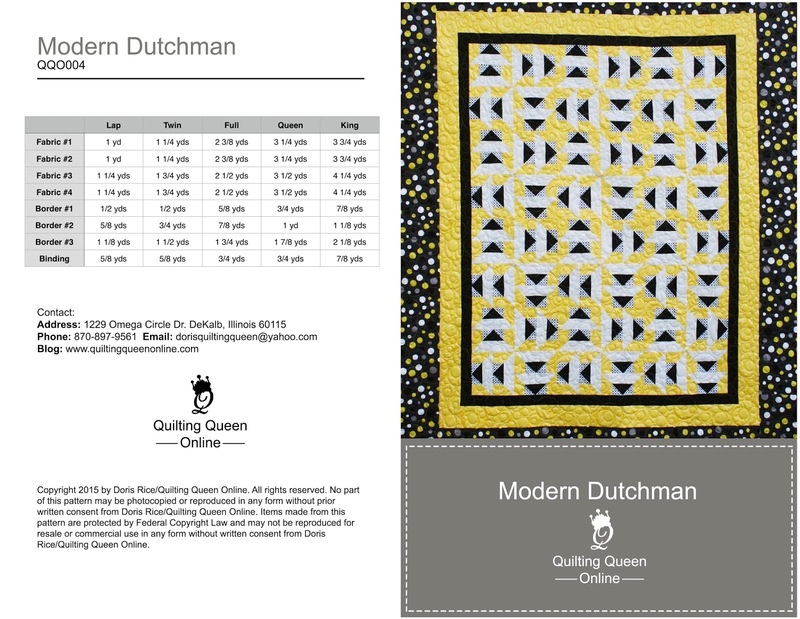 oh my gosh, one of the first quilt blocks I make was the flying dutchman...it would be pretty cool to win this pattern! I don't mind rafflecopter, but then again I haven't had to use it other than participating in giveaways!